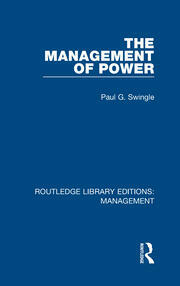 Paul G. Swingle, Ph.D. R.Psych. was Professor of Psychology at the University of Ottawa. A Fellow of the Canadian Psychological Association, he was Lecturer in Psychiatry at Harvard Medical School and Associate Attending Psychologist and Coordinator of the Clinical Psychophysiology Service at McLean Hospital (Boston). A Registered Psychologist in BC, certified in Biofeedback and Neurotherapy, he is in private practice in Vancouver, BC, where he founded the Swingle Clinic. Dr. Swingle can be considered one of the founding fathers of Clinical Psychoneurophysiology, one of a select few, directly responsible for bringing Neurotherapy out of university labs and clinics to the general populace in the 1980’s. His academic positions include, Professor of Psychology at the University of Ottawa from 1972 to 1997, Lecturer in Psychiatry at Harvard Medical School from 1991 to 1998, Associate Attending Psychologist at McLean Hospital (Boston), Head of the Clinical Psychophysiology Service McLean Hospital (Boston). Professor Swingle was also Clinical Supervisor at the University of Ottawa from 1987 to 1997 and Chairman of the Faculty of Child Psychology from 1972 to 1977. Dr. Swingle is a Registered Psychologist in British Columbia and is Board Certified in Biofeedback and Neurotherapy. He is actively involved in research and practice. His numerous publications including nine books and numerous peer reviewed journal publications.